To increase access to care, the Defense Department is launching an Urgent Care Pilot Program for TRICARE Prime beneficiaries. This program allows Prime enrollees two visits to a network or TRICARE-authorized provider without a referral or prior authorization. • Active-duty service members (including National Guard or Reserve members activated — called or ordered to active-duty service — for more than 30 consecutive days) in TRICARE Prime Remote. • Non-ADSMs in TRICARE Prime, TRICARE Prime Remote or TRICARE Young Adult Prime. • TRICARE Overseas Program beneficiaries traveling in the U.S. (not limited to two visits). Active-duty service members enrolled in TRICARE Prime are not eligible for this program as their care is managed by their service. This pilot also excludes Uniformed Services Family Health Plan enrollees. TRICARE Overseas Program enrollees can receive an unlimited number of urgent care visits, but only when they are traveling stateside and seeking care. Once an individual receives urgent care, they must notify their primary care manager about that care within 24 hours or the first business day after the urgent care visit. Authorization requirements have not changed for follow-up care, specialty care or inpatient care. Those who are not sure of the type of care they need, or who require care outside of standard business hours, should call the Nurse Advice Line. At 10 a.m. on any given Wednesday, one could walk into the 305th Operations Support Squadron’s leadership meeting and see a strange sight. Airmen sit around the conference room table and in chairs along the walls, variously clothed in a sea of green flight suits and Airman battle uniforms. Each has their eyes closed, boot heels planted on the floor, palms flat against their thighs. Hush reigns. Only the sound of each person’s gentle, deep breathing can be heard. A moment passes, a gong sounds. Eyes flutter open and Lt. Col. Janelle Macaulay, the 305th OSS commander, begins the meeting. Her voice is gentle, soothing and does nothing to disturb the calm from a moment before. 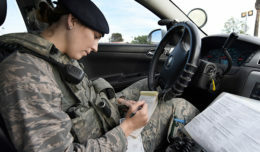 She calls it the “mindful minute,” and it is an initiative that has been implemented throughout the squadron during her tenure there. During her year in command, members have incorporated the practice into their personal and profession lives; it has been instituted in flights, commander’s calls, meetings and physical training sessions. The intent is not to have the forces on the front lines or engaged in direct combat, Cook said. It’s a little after 7:30 a.m. and the stampede has finally cleared the hallways. There’s a moment of silence, the first since arriving to work three hours prior. The five-story building is nearly desolate now, but a multitude of paperwork and tasks remain to be done before the 800-plus military students return from class in the afternoon. Such is the life of a military training leader at the 59th Training Group, the Air Force component of the Defense Department’s Medical Education and Training Campus. The tri-service campus offers more than 50 medical programs, and graduates about 21,000 enlisted students annually. MTLs provide administrative care and Air Force instruction to the second largest group of technical training students in the Air Education and Training Command — the first group is security forces. Nearly all Air Force enlisted medics come through the unit. Some stay only a month, while others may be assigned here up to a year. The group houses three squadrons with up to 1,200 Airmen from 16 different Air Force career specialties. Only 24 MTLs help run the unit, and they are responsible for the more than 5,500 Airmen who navigate the hallways every year. 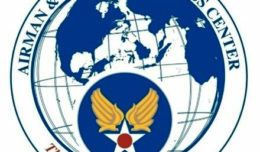 “Most of us never had to supervise a large number of Airmen before, so coming here is a new challenge,” said Staff Sgt. Britni Hill, a MTL with the 59th TRG. Hill, who was a security forces specialist before taking on the special duty assignment as an MTL, said this unique training setting is very different from her previous experience. The tri-service environment, Hill said, makes it important to instill military bearing, and customs and courtesies to the Airmen. “Oftentimes, it’s necessary to explain why things differ between the services instead of just barking orders,” she said.